How alumni use their BYU educations to serve their communities, neighbors, and families. Melody Rejholec teaches her daughter to sign “mother,” helping her with the American Sign Language skills she needs to communicate with their deaf relatives. Through the slats in her crib my daughter’s small hand signs, “I love you.” I sign the same back, remembering my BYU American Sign Language (ASL) classes. Back then I thought it was interesting to learn vocabulary and study deaf culture, but now I realize the larger reason I felt compelled to take those classes. Who would have thought I’d marry into a family with deaf relatives? Though my children can hear, signing has become a part of their everyday lives. Now when my daughter sees her deaf cousins, she excitedly shows them new signs she has learned—instead of shying away due to a language barrier that might have existed if not for my college education. My ASL training benefits more than just my family: At preschool I teach children signs to demonstrate actions in songs, to say “thank you” for snacks, and to signify when they need to go to the bathroom. (It’s so nice to see that they need to go rather than hear about it!) As a family we sign to communicate silently at church and across the playground. And we flash that “I love you” sign nonstop. Learning to serve was a key part of my BYU education; I “adopted” a grandparent and mentored at-risk and visually impaired students. Now I want to teach my kids the importance of service. I recently discovered an organization that gives scholarships to African girls, a cause I thought my 5-year-old daughter, Marielle, could understand. We watched a video and talked about poverty, the cost of education, and ways we could help these girls. Then we planned a lemonade stand to raise funds for a girl’s scholarship. Skills I learned from my MPA degree emerged as we planned and executed the fund-raiser. I sought out in-kind donations, marketed our event, and researched the organization. 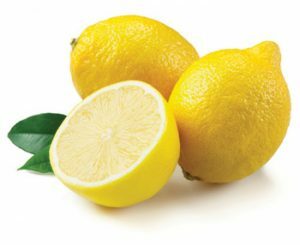 A local orchard allowed us to pick fresh lemons, we e-mailed friends and neighbors, and I learned that the scholarship organization has low administrative expenses and aligns with our beliefs. The day of the event our whole family worked to exhaustion squeezing lemons, baking, and painting posters. Each time Marielle wanted to take a break I reminded her of Yacinta, the African girl whose story inspired us. In one afternoon we made $135 for the scholarship! As we submitted our donation online, Marielle was literally jumping with excitement. I couldn’t have been happier to see her experience the joy of service. For me the best part was when Marielle said, “Mom, I know how I can help the girls in Africa! I can give them all my money”—loose change she’d been saving to buy a toy. She added, “I never go to stores that much, so I’ll give my money to help the girls.” Her lifesavings, totaling $5.27, was the sweetest contribution of all. —Mary Karlee Sycamore Mullen (BS ’02), Goleta, Calif.